The U.S. Patent and Trademark Office served up further evidence on Tuesday that Apple is designing a smartwatch when it awarded the company a patent for a wrist-worn gadget with a touchscreen and ability to communicate with a smartphone. 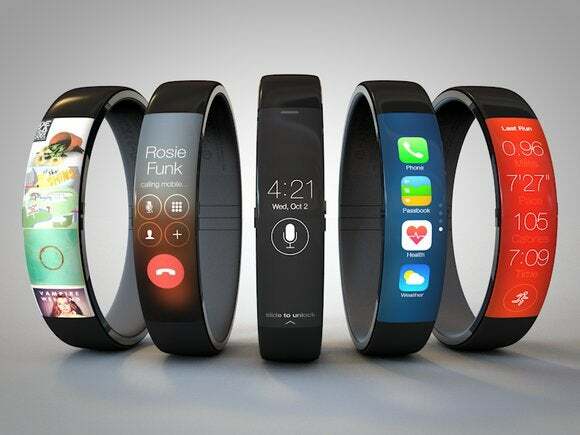 “The invention pertains to an electronic wristwatch,” wrote Apple in the filing for U.S. Patent 8,787,006, which was submitted in July 2011 but made public on Tuesday. The patent doesn’t give much away about any commercial product that might be planned by Apple, but it does provide an insight into the way the company was thinking in 2011. 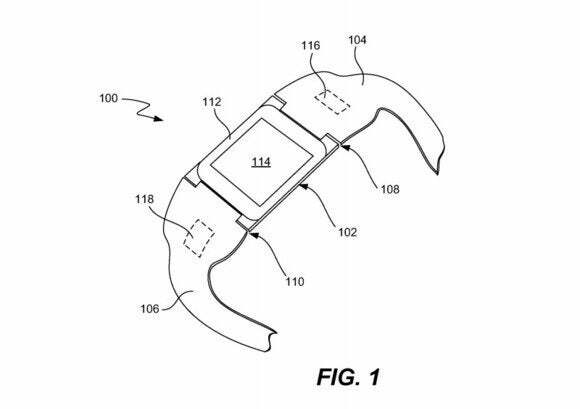 This drawing of a smartwatch design was included by Apple in a patent filing. It describes “an electronic wristband to be worn on a wrist of a user” that has a receptacle for a “mobile electronic device.” That mobile device is a small display module that can be clipped into the wristband when needed. The display portion is a mobile device in its own right and functions while not clipped into the wristband. Once connected together, the wristband and mobile device form a smartwatch that can communicate with a second device such as a phone, tablet PC or desktop computer. the patent said. In some of the drawings that make up the patent, the watch device is labeled “iTime,” although that name isn’t claimed as a trademark with the USPTO. While Apple hasn’t publically acknowledged it is working on a smartwatch, a number of leaks from the company have suggested one is under development.